Tencent's WeChat app now has 980 million monthly active users. 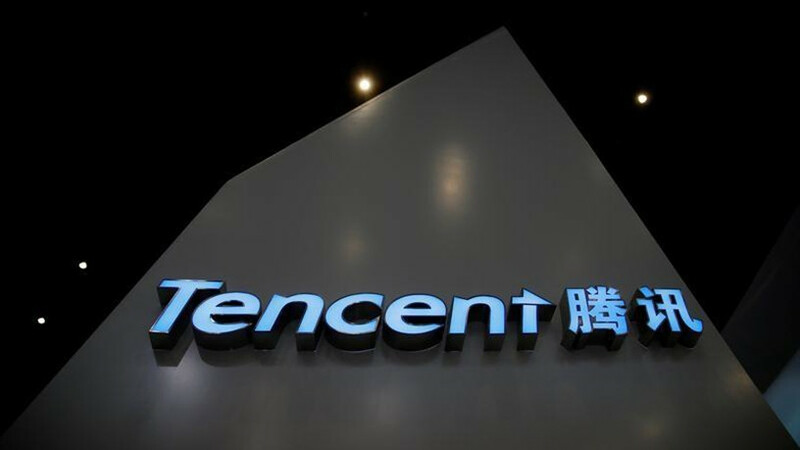 Chinese Internet giant Tencent said it will invest more in its digital content businesses spanning publishing to film-making after its third quarter net profit surpassed expectations yesterday. Tencent, Asia's most valuable company with a market capitalisation of $472 billion, is looking to invest more in its digital content and better integrate its products across platforms in order to draw more time from more paying customers, president Martin Lau said during an earnings call yesterday. Analysts said it was a move towards helping Tencent better monetise its various content platforms that dominate Chinese mobile users' daily life through increased subscription and advertising revenue. Tencent's messaging-to-payment super app WeChat now has 980 million monthly active users, with 38 billion messages sent daily. Its YouTube equivalent, Tencent Video, has become the video streaming service with the largest paying subscriber base in China, at 43 million subscriptions, Lau said. Tencent will invest in online video through original content production or IP purchase, despite it being "an unprofitable sector", Lau said, because it is core to Tencent's cross-media intellectual property strategy and increases engagement time. Tencent recently listed several subsidiaries on stock exchanges in Hong Kong and the US in a slew of stellar initial public offerings (IPOs). Lau said more IPOs may come, but spin-offs similar to publishing arm China Literature, which this month raised $1.1 billion, will not be the "norm". "Over time, there will be more and more of our investee companies that reach the kind of maturity that can be IPOed in the market," Lau said. "But I would say for the majority of our businesses, which have been home-grown and organic, there is actually more reason for them to stay together so they can reinforce each other." Tencent's net profit for the three months ended September rose 69% to 18 billion yuan ($2.7 billion), beating an average estimate of 15.2 billion yuan. Smartphone games were Tencent's largest revenue source, surging 84% to 18.2 billion yuan in the quarter, led by titles such as the online battle arena game Honour of Kings. The fantasy role-playing game based on Chinese historical characters became so popular that Tencent had to introduce curbs on play time earlier this year amid reports of serious addiction among children. Its release in the US has been delayed from this month until next year. Lau said Tencent has a series of survival-themed mobile games in the pipeline ? a genre that is the latest hit for Chinese players as a new game from rival Netease eclipses Honour of King's popularity. Total revenue in the quarter rose 61% to 65 billion yuan, with earnings from payment-related and cloud services more than doubling. Tencent shares closed at HK$383 before results were announced, bringing their gains for the year to just over 100% against the wider market's 31% rise.